We've created a few basic HTML temples that you can use to get a jump start on building your website. 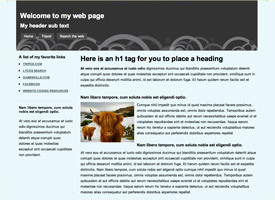 Download a template and add your own HTML, CSS, text and images. All of our templates come with developer comments to learn how each line of CSS affects the web page. When you're done, use FTP to upload your new files to your account. 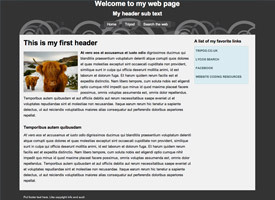 Use this template to create a basic two-column layout with a side bar on the left side of the page. Use this template to create a basic two-column layout with a side bar on the right side of the page. 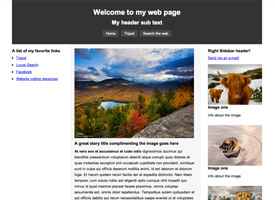 Use this template to create a basic three-column website layout with two side bars.